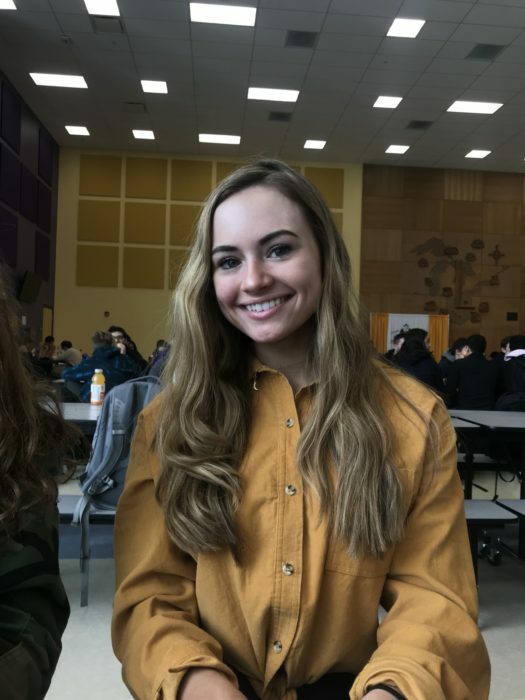 Halle Breudigam is a junior at Lakewood High School. She is part of the Rangerettes and the gymnastics team. She is also a dancer outside of school. Q: When did you start doing gymnastics? A: “I did gymnastics when I was younger and then quit for a few years. When I came to the High School and heard there was a gymnastics team I wanted to get involved. Q: Is it hard to balance dance and gymnastics with school? Q: What do you do to get involved in Lakewood High School besides gymnastics and Rangerettes? A: “I’m part of National honor society and I sometimes volunteer. I am also part of an organization called Casey’s kids that meets during lunch and I’m part of the wind ensemble. Q: Do you have any leadership roles? Halle Breudigam is an involved student and an example of a student who can balance activities and school.